Explore a 100-mile trek through seven historic communities on Georgia&apos;s Antebellum Trail. Escaping Sherman&apos;s burning through Georgia, the cities on the Trail have preserved their remarkable beauty and continue to flourish. You can spend your time on the Trail visiting historic attractions, shopping in local stores, dining in unique restaurants, and staying in a charming bed and breakfast. This self-guided tour allows you to choose an itinerary to plan your trip around events and places to see. Either begin or end your trip on the Trail with Macon. 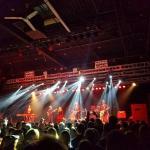 Macon is a city filled with a rich, soulful history that inspires Macon residents and visitors alike. With its incredible musical heritage, beautiful architecture, and delightful Southern Charm, it&apos;s easy to see that Macon is "Where Soul Lives." 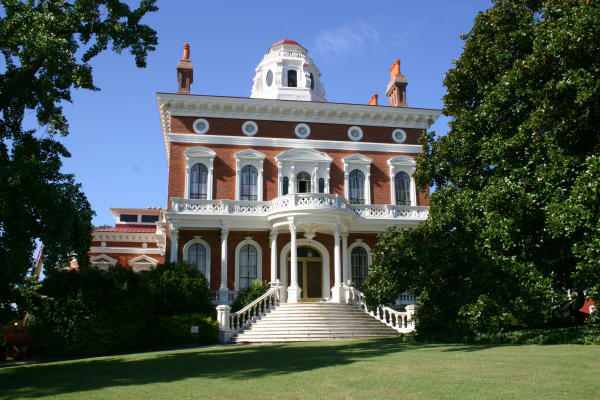 Declared a National Historic Landmark in 1974, the Johnston-Felton-Hay House is an 18,000-square-foot Italian Renaissance Revival mansion and is a must-see during your trip to Macon. The magnificent home has been featured on A&E&apos;s American&apos;s Castles and is considered one of the most advanced antebellum structures in America for its style, craftsmanship, and technological innovations. Guided tours are available. 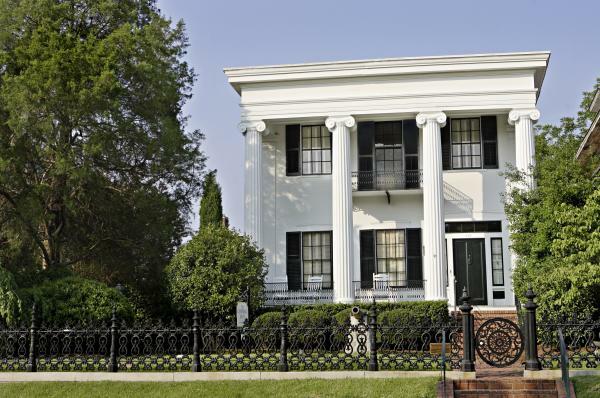 Known as the only house in Macon to be struck by a Hotchkiss Shell during Stoneman&apos;s Raid on Macon in 1864, The Cannonball House is an example of authentic Greek Revival architecture containing fine period furnishings and personal items from the original owners of the home. A guided tour of the main house and the original two-story brick kitchen and servant&apos;s quarters is available. With a mission to revitalize the Macon community by preserving architecture and sharing history, Historic Macon Foundation (HMF) is a national leader in conservation and a role model for revitalization efforts throughout the community. The Sidney Lanier Cottage House Museum, owned by HMF, is the birthplace of poet, musician, and soldier, Sidney Lanier. Learn more about Lanier and view items from his life on a guided tour of the House. 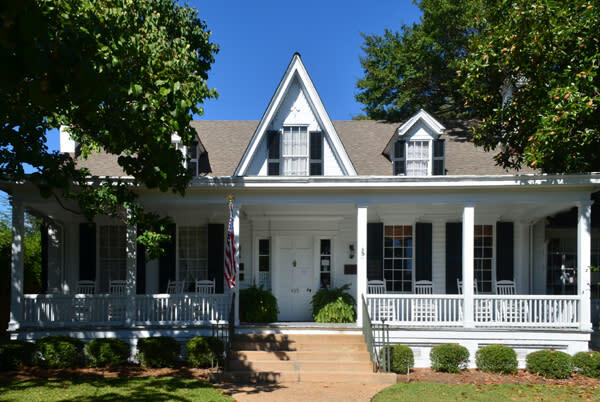 After a day of exploring Macon&apos;s historical places, enjoy staying at The 1842 Inn located on College Street, a street known for its beautiful historic homes. 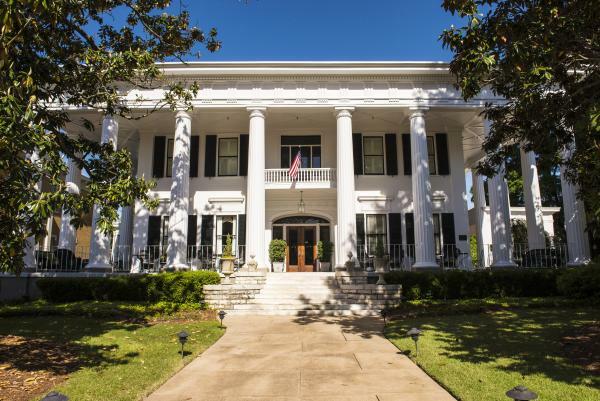 Combining classic Southern ambiance with stately antebellum style, this beautiful Greek Revival home provides its guests with a distinctive and elegant experience that will make you feel right at home. Enjoy your breakfast al fresco on the grand front patio. Built in 1887 and listed on The National Historic Register, Burke Mansion is said to be one of the finest examples of Queen Anne Victorian Architecture in the country. 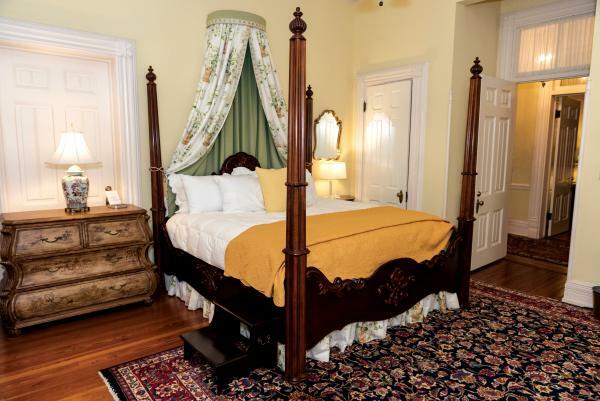 With individually designed suites, chef prepared hearty Southern breakfasts, and evening reception with hors d&apos;oeuvres in the Parlor, Burke Mansion provides its guests with a luxurious and memorable experience.